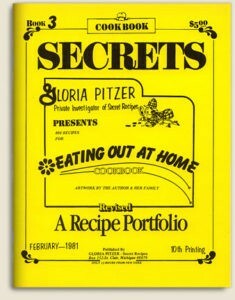 1978 – Gloria Pitzer Presents: Eating Out at Home a cookbook written, illustrated and published by Gloria Pitzer (Gloria Pitzer’s Secret Recipes, St. Clair, MI). 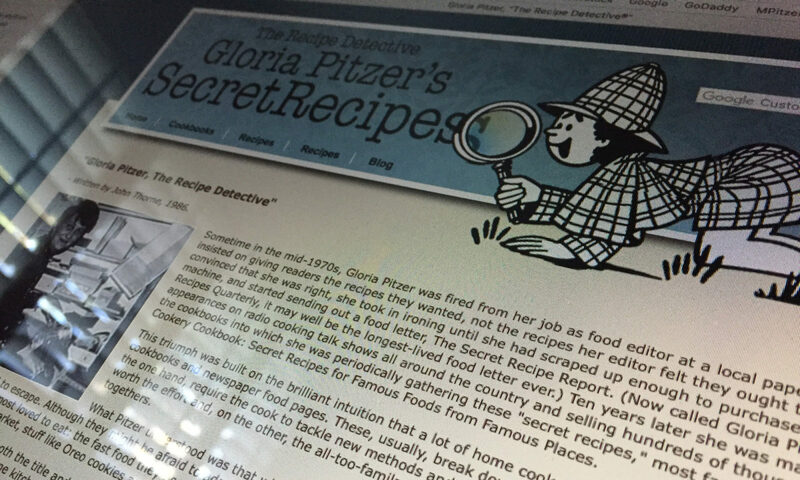 NO LONGER IN PRINT – this cookbook, sometimes referred to as “Book 3” or the “Yellow Book”, had a 52-page, 8.5″ x 11″ format filled with her famous make-at-home recipes for imitating fast foods, restaurant dishes and grocery products. 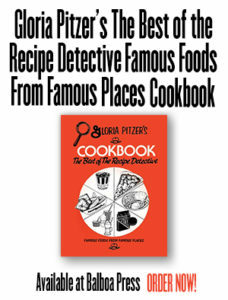 In addition, Gloria includes background information along with her usual witty & humorous stories, food-for-thought and over 240 index listings. It sold for $5 per copy. Over the years of various printings, the cover changed slightly, but the title remained the same. 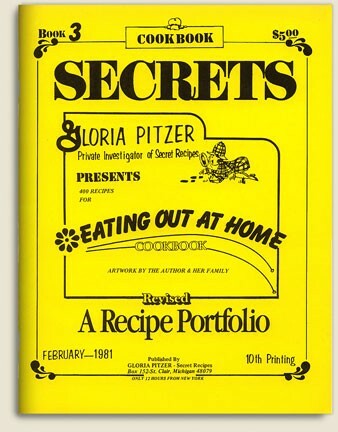 The masthead originally read “Secret Recipe Report”, but it changed to “Cookbook Secrets” in later printings, The sub-title, “A Recipe Portfolio”, was also added in the later printings.